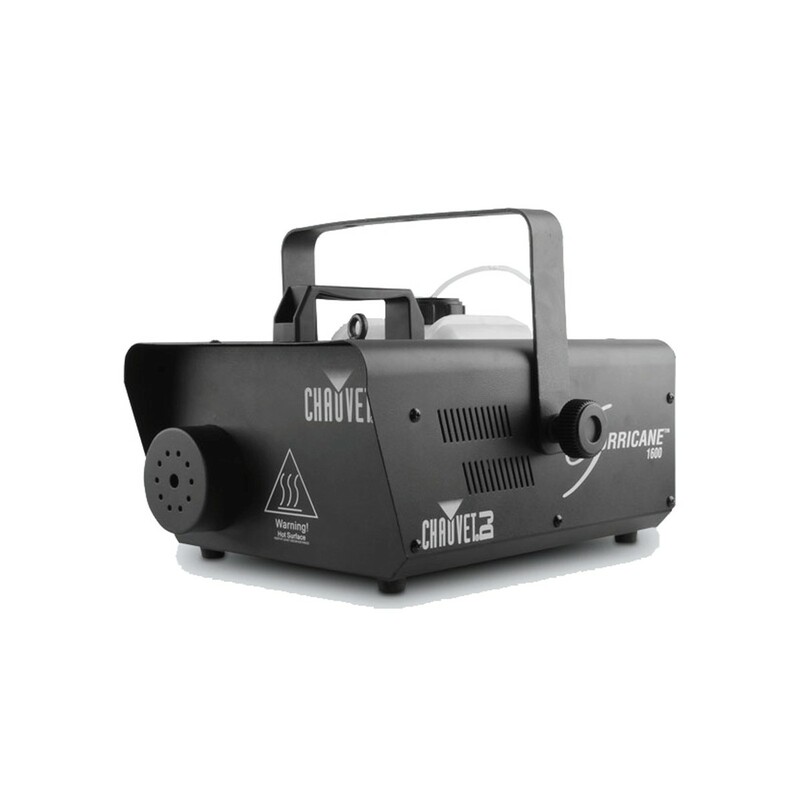 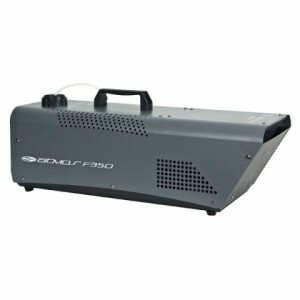 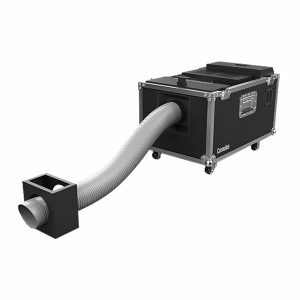 The Chauvet Hurricane 1600 is a compact, lightweight, high-output fog machine with DMX control. 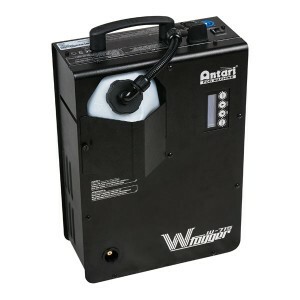 Its variable output can be controlled from either DMX or the included timer remote. 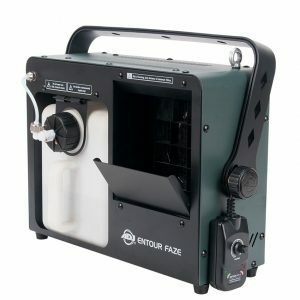 The Hurricane 1600 has an advanced fluid sensor with an automatic shut-off to protect the pump from overheating. 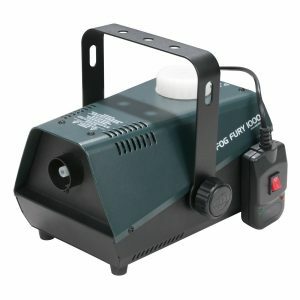 An LED-illuminated tank enhances the products safety and operation. 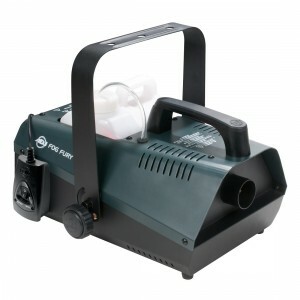 The Hurricane has a residue-free water based fog output and an ultra-fast heat up time for a quick setup.